Christina Manossis and Antonis Ioannidis from Zeus, the company that exports kiwis from Greece. 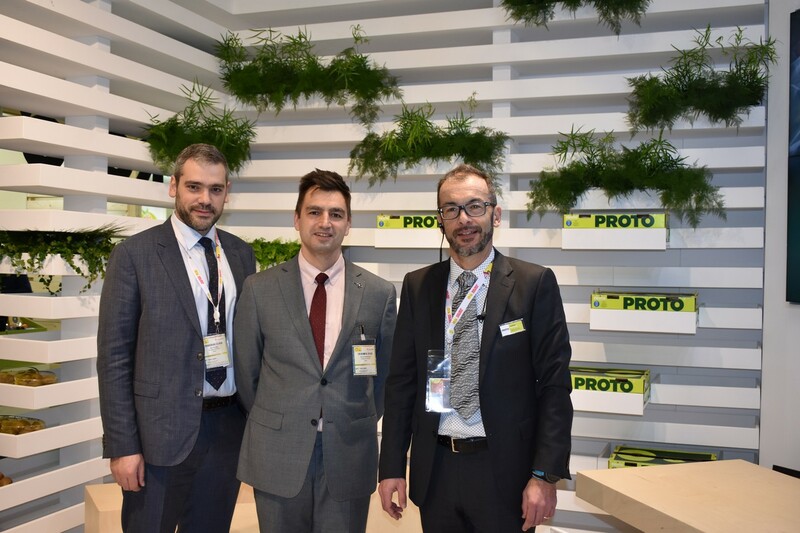 Nikos Pardalis, Yannis Protofanousis and Iona Thessaloniki from Greek company Proto. They mainly export kiwis. 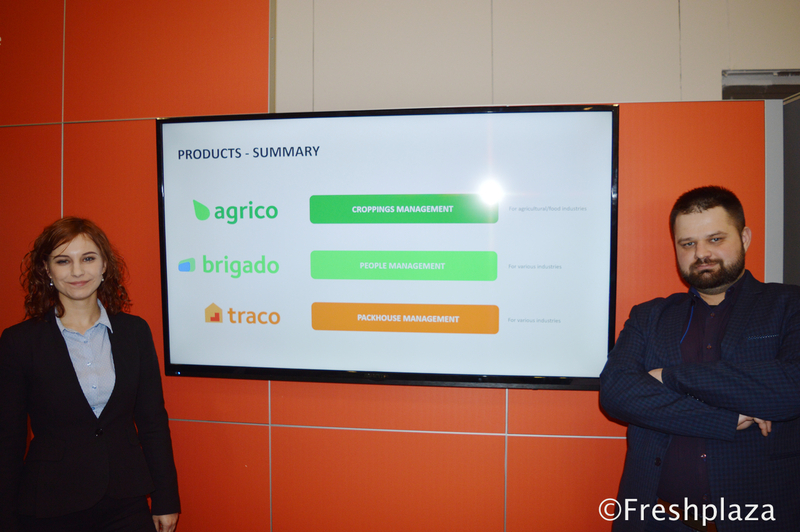 Narciso Vivot, André Vink and Ivan Van Dessel from AgroFresh, they promote the Ripelock. Paul Ward, Simon Matthews, Graig Edwards, Karen Murphy and Alan McGregor at the Nature Seal Agri Coat stand. Naomi Cassidy - Total Produce. Dimitra Mitrsoli, George Efstratiou, Irini Mitrsoli, Christos Mitrosili and Nikos Katsaloulis from Greek exporting company Mitrosilis. They mainly export kiwis and citrus from Greece. The Capespan stand was very busy pictured here is Adele Akermann. Fruit-Group CEO Janusz Kaweczynski with his daughters Agnieszka Kaweczynska and Emilia Lewandowska. They export apples from Poland. Leigh Green, Marketing Manager at Halls with the new CEO Tracey Davis, this was Tracey's first Fruit Logisitca. The lovely ladies helping visitors to the MSC stand. The Jupiter Team - Alex Nesbit, Gareth Witcock, Mark Tweddle, Yvonne Tweddle, Darren Sutherland, Dimi Theodorou, Riaan Oosthuizen and John Ferguson. Dr Amr Hassanein, chairman and May Salem, Managing director for FinBi for Land Reclamation & Agricultural development. They specialise in pomegranates and grapes, hence the brand "Nates'NGrapes". Elvis Pieters - Graff Fruit, Lindie Stroebel - PMA South Africa, Logan von Willingh - Graff Fruit and Clayton Zwart from SATI. Andrew Sperling - Coliman Allfresh. 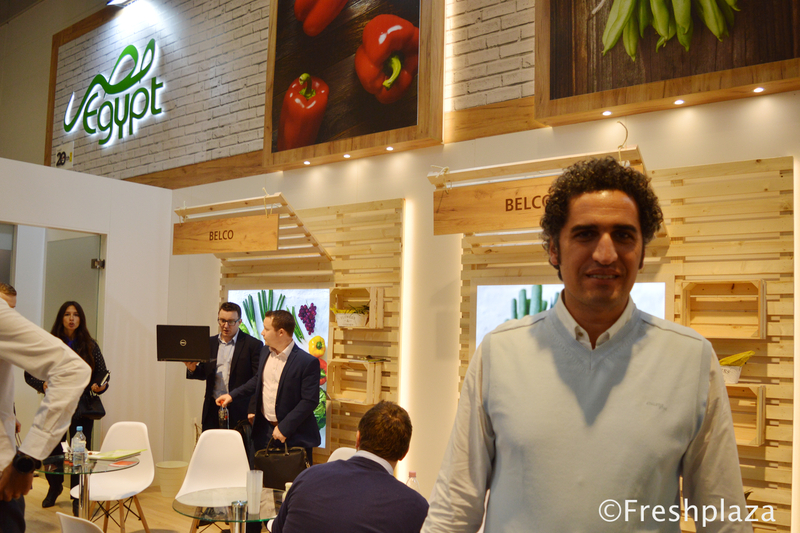 Pavlos Kontogiannis from the Greek company Medfruit. Gareth Edgecombe - CEO T&G Global, HC Teresa Jorda - Catalonian Minister of Agriculture, Josep Usall - CEO IRTA, Sarah McCormack - T&G Global and Gavin Ross - Plant & Food Research. Chatsios Sokratis from Alfa Vita. The Greek exporters were promoting their kiwis and grapes. Lazaros Papakis, Marilena Papadaki and Lefteris Sergios from BanaNatural. BanaNatural introduces a disruptive way of trading bananas with the use of an integrated innovative system of gathering, transporting, distributing and finally displaying whole banana bunches at the retail points. 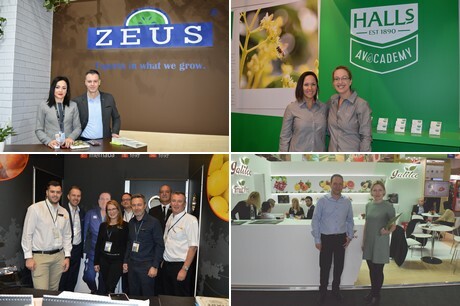 John Kowarsky- Afrex Trading, Natalia Lewandowska - Specials and More and Ettianne from Afrex Trading have formed a joint Venture to import niche products into Poland. Nagesh Shetty at Deccan Produce. Olcay Colak for Yaka, a cherry packaging and sorting company based in Greece. Angelakis Angelos, from Angelakis Fruits, a citrus exporter from Greece. Jon Clark - Fruit Growers Alianza smiling as always! Tonia Nikolaidou, who was promoting the Freshkon event in Greece, being held from the 11th to 13th of April. Apostolis and Zacharis and Ioannis Kaltsonidis from Oporello, a Greek exporter that was showcasing their apples. Sabri Uzunlar, Mohammed Önalmaz, Yüksel Oksak, Mahmour Shabana, Nariman Adel and Ibrahim Said from Agreen. 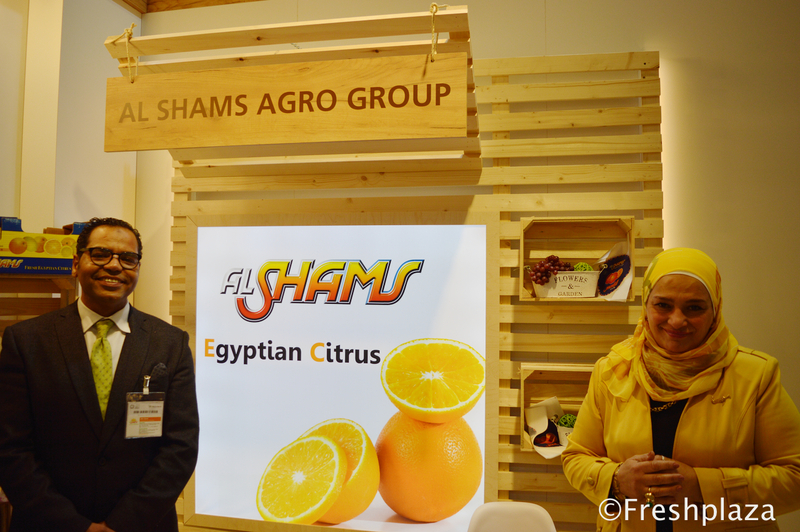 The Egyptian company that mainly exports citrus from Egypt. The team from Marco - Andy Legg, Murray Hilborne, Russell Shenton, Jose Fernandez and Paul Seamons. The Sakata stand was very busy with visitors who were able to enjoy some Bimi prepared by a chef. 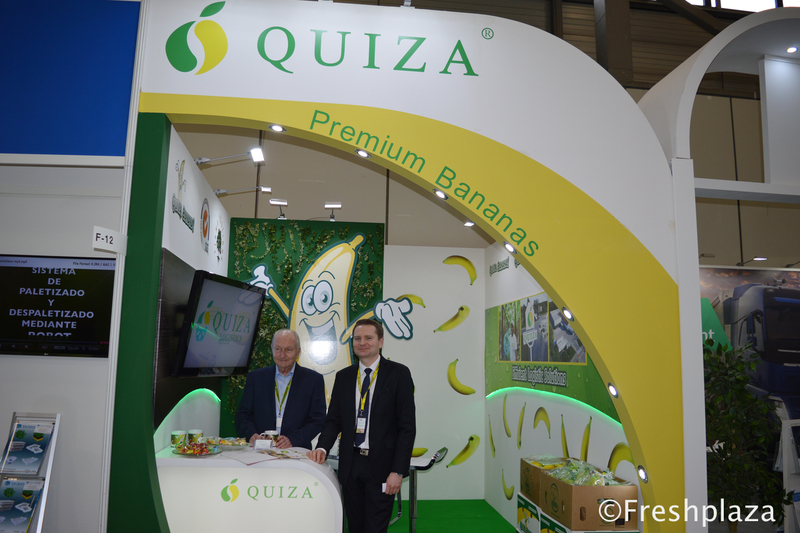 Peter McBride - Chairman of Zespri and Craig Thompson ZGS Europe. The Lolly Pops collection at the Delassus stand. Amira Hosny and Hatem El Ezzawy from Pico. They export a variety of fruits from Egypt. Esraa Assaf from the Egyptian exporting company GB Farms. 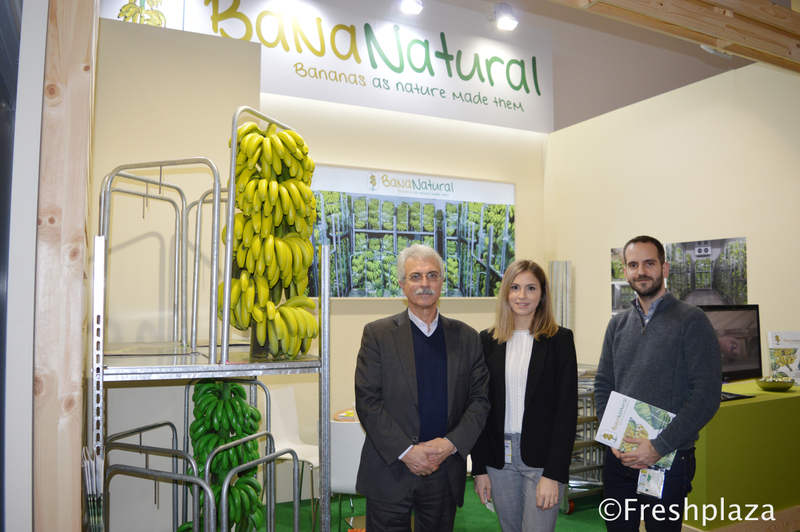 Vasilis Sinos and Elena Kullia from Kaplanis Fruits S.A. They export strawberries from Greece. The stand of Greek company Taktikos. On the left is Khaled Shaker, from Egyptian exporting company Green Egypt. 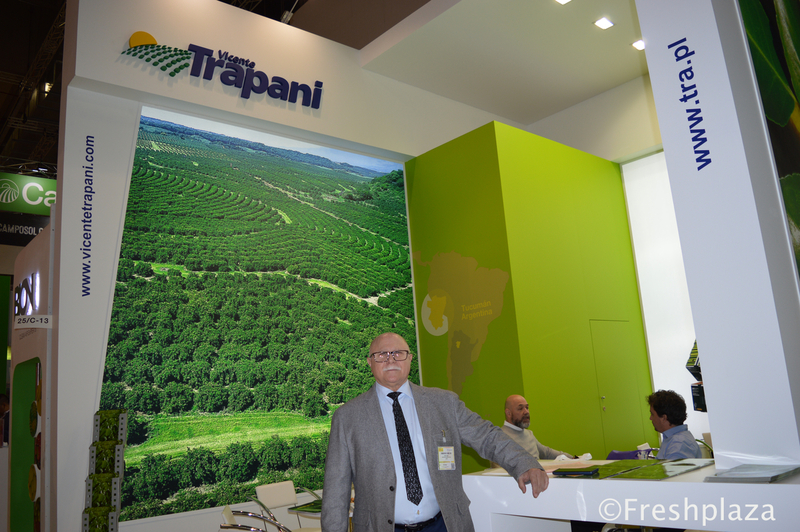 They export strawberries and beans, and will start with sweet potatoes in May. Chris Gedway at TH Clements had a stand for the first time, the company are looking to export some value added products. 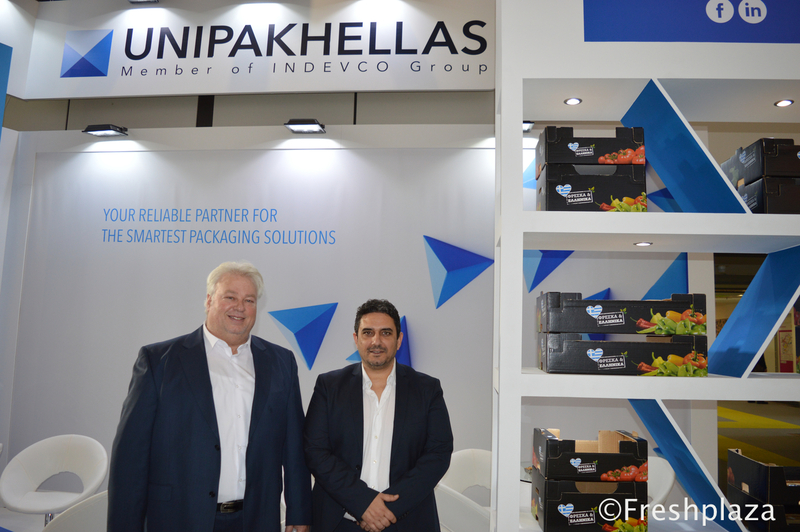 Aggelos Nithavrianakis (Sales Supervisor - North Greece) and Akis Divinis (Sales Supervisor - Crete) from UNIPAKHELLAS S.A.. UNIPAKHELLAS S.A. specializes in manufacturing and converting a wide range of corrugated board packaging for the European markets. The team from Muddy Boots were kept busy during the fair. Tatiana Sucha-Klebaniuk (Sales Manager) and Grażyna Aniszkiewicz from Citronex Group. Youssef Fawzi Dawoud from Alpha. The Exgyptian company exports spring onions to the United Kingdom, Italy and some other countries in Europe. The stand of the Nile Establishment for International Trade in Egypt. 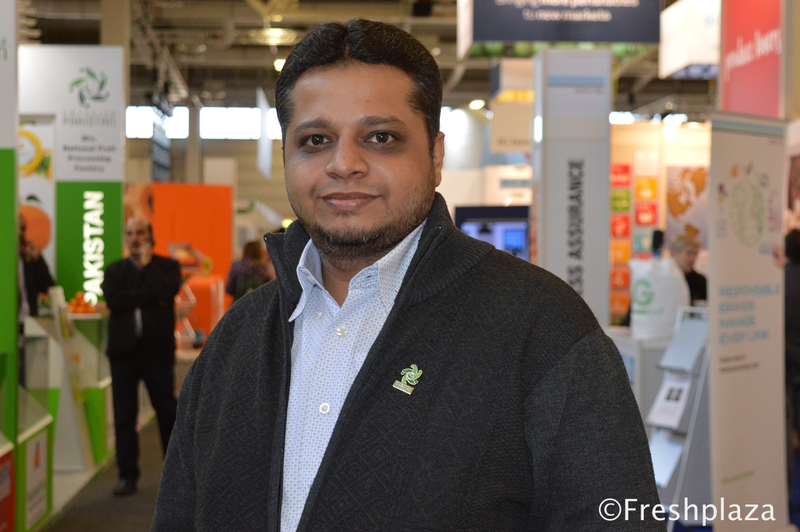 Ahmed Sarhan, CEO from Fruttella. The company exports citrus from Egypt. Georgio Kolios. Kolios exports kiwis from Greece. Diasakos Petros, the Food Scientist from Geoplant. They export a variety of fruits from Greece. Mark and Yvonne Tweddle owners of the Jupiter Group. Mark could not be at the trade fair so they brought this life-size cardboard cut out of him!! Nick Nafpliotis from Greek & Fresh. The Greek company is expanding their produce with Hass avocados. Gökcen Cakir from Turkish exporting company Eren Tarim. Muhsin Riza Agdag from Finike / Hatipoglu Tarim. The Turkish company exports cherries and pomegranates amongst other fruits and vegetables. Lydia Eisenbach from the Organic Marketing & Export Network (O.M.E.N) in Greece. Aysel Oguz, export sales supervisor for Turkish companu Anadolu Etap. Mustafa Arslan from Turkish company MDA Tarim. Kadir Özcaskun, Chairman of the Board from Agromico. The Turkish company exports a variety of fruits like citrus and tomatoes. Sabri Vzunlar, Muhammet Önalmaz and Fetullah Bíngül from Tarim A.S. in Turkey. Iain Forbes, Elizabeth Carranza, Todd Sanders and Brenda Briggs at the US Apple Export Council. The contract for a new partnership that will allow Alanar to provide quality figs year round, is being signed. The Peruvian company will supply the figs when the Turkish black figs are out of season. The new partnership was celebrated with a delicious looking cake. The proud group of Alanar, after signing the partnership contracts. Royal for Intarnetional Trade Company exports citrus and other fruits from Egypt. In the picture is CEO Shady El Adawy. Rinze Jonkman from Fuji Machinery. Shinya Nakamura and Dr. Carlo Vittucci from Tokita Seed Co.
Andrzej Drzymalski and Hubert Bisialski from Polish exporting company PrimaVega. The stand of John Bean Technologies. 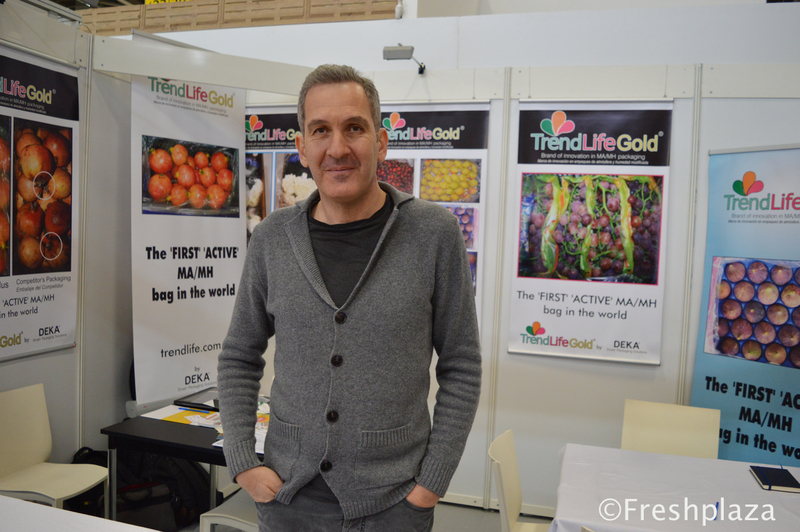 Timur Almaszy, export manager from the Polish apple exporters Bart-Ex. Viacheslav Arsenyev, export director from Prima. The Polish company deals in apples. Dominika Kozarzewska from the Polish Berry Cooperative. Their blueberry lunch event, where finalists of various cooking shows prepared a variety of dishes using blueberries, was a great success! Monika Szewczyk, Joanna Krawczyk and Krysztof Czarnecki from Polish Apple exporters AgroQueen. The company exports organic apples. Klaudia Stelmasiak for Jablka Grojeckie, Polish apple exporters. 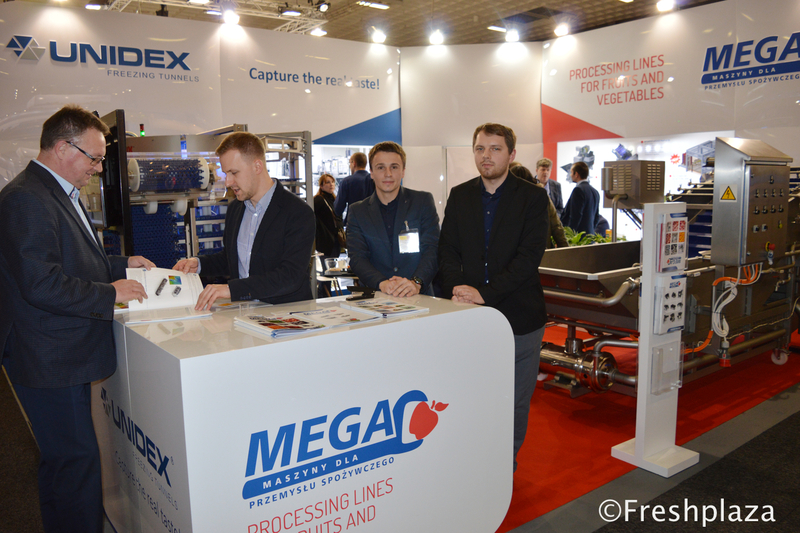 Marcin Stasiak and Lukasz Lapacz from the Polish apple exporters SunSad. Volodymyr Gurzhiy, Dmytro Kroshka and Sophia Kushch from the USPA, a Ukranian company showcasing their apples. The plastic producing company Helesi's team; Paris Andrainopoulos, Aggeliki Anthi, Gianna Thanassodia Iakonos Holidis and Liannis Holidis. THe company produces pallets, boxes and bins that are usedin in Europe, Asia, Africa and South America. Krysztof Janiak, CEO of CDM Packaging. The company was showcasing their new flat bottom pouches. Abhijeet and his father Suhas Sethiya from Santosh Packaging. The company specializes in the packaging of pomegranate arils. Dipesh Devraj from Kenyan exporting company Keitt. They export avocadoes and beans, amongst other vegetables. Maxim Kulik, general director for Vinagrette, an Ukranian exporter. For this event he was promoting the new FreshBot app. The app intends to help growers by providingall the data they need. Marlena Wozniak, Monika Korbus-Bialek and Ilona Zolcik-Loboda from Polish apple exporting company Activ and the Fruit Family Association. On the right is Marcin Slusarski, plant director from Polish company Elizowka. Adam Pajewski from Polish exporter Rajpol. They specialize in apples. Joanna Leszko with her two colleagues. They were showcasing Grzybmar's Polish mushrooms. Ali Musaev from Akhmed Fruit. Mesut Idiz from Turkish company Cekaform. They make all kinds of plastic packaging. 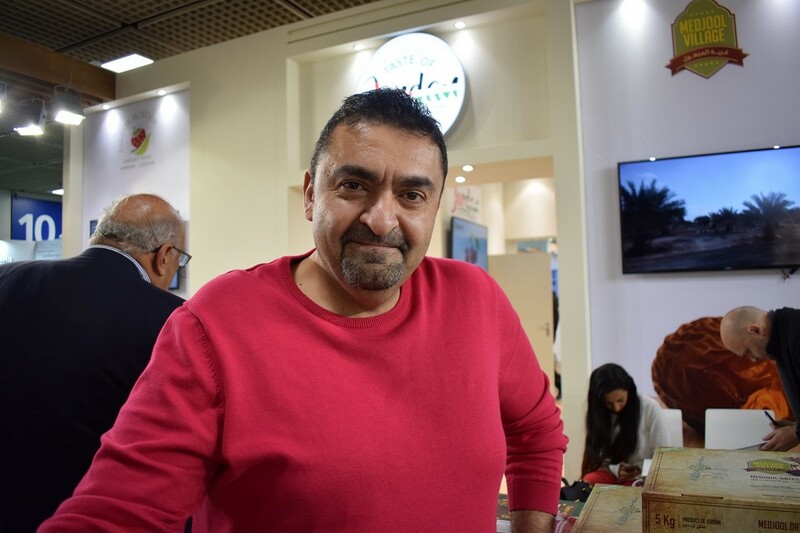 Mohamed El-Sheikh, managing director from Egyptian company Trading Island, paying a visit to the FreshPlaza stand! Ewelina from Polish apple exporters Bialski Owoc. Daniel Oleksuik and Pawel Gierzsimiuk from Agronom Berries. Radoje Djokovic and Aleksandra Nikolic for PureBerry, a French company with a subsidiary in Serbia. Marija Ognjenovic from EkoFungi, a Serbian company dealing in mushrooms. Anna Litwin and Monika Pluta from Ewa-bis. This Polish company deals mostly in apples, both conventional and organic ones. 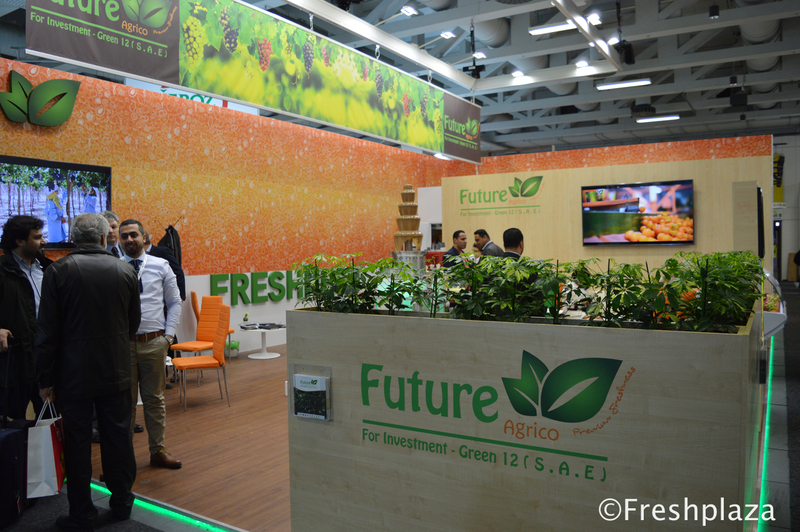 The stand of Dutch/Turkish company Deniz, who export their citrus and other produce to Belgium, Germany and Hungary. Dimitris, Dionisios and Dionisia from Greek exporting company Koutsogiannopoulos. 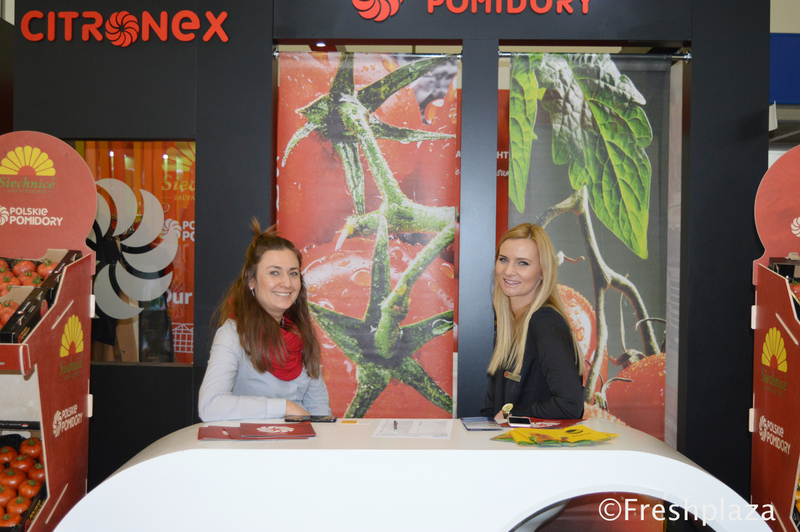 This was the company's second time attending Fruit Logistica with their own stand. Mohamed Elgebaly from Hama for Food Industries. The stand of Egyptian company Olam Spices. 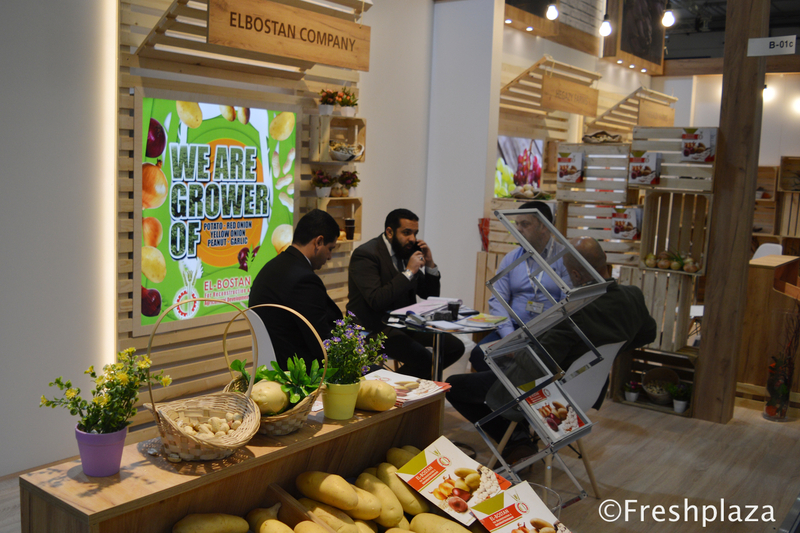 The stand of Nivex Farms, an Egyptian company that exports beans and potatoes from Egypt. 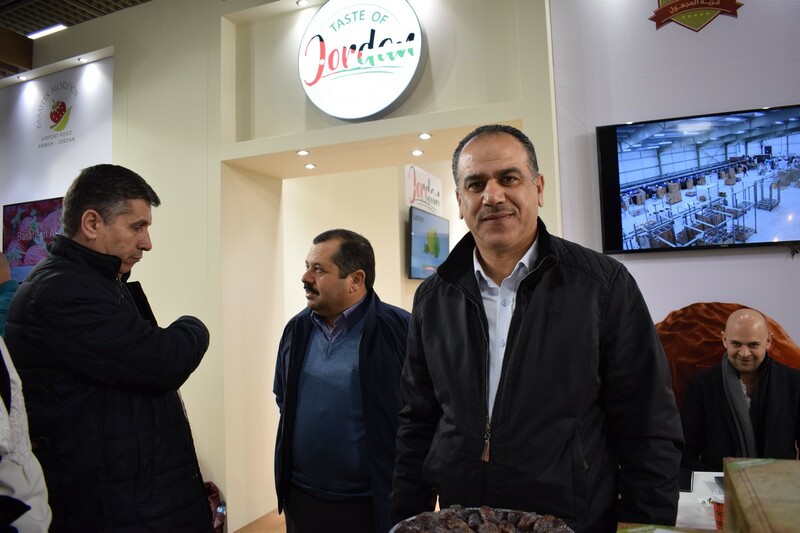 Ashraf Hafez, operation manager from Mazeed Produce. The Egyptian company exports a variety of fruits, like grapes and citrus. Andre Bailey, Greg Evans and Richard Isaacs from Global Fruit, they invested in a nice plant at their desk on the right. Muhamed Abo Salama from El Saad Fruits. The Egyptian company exports citrus. 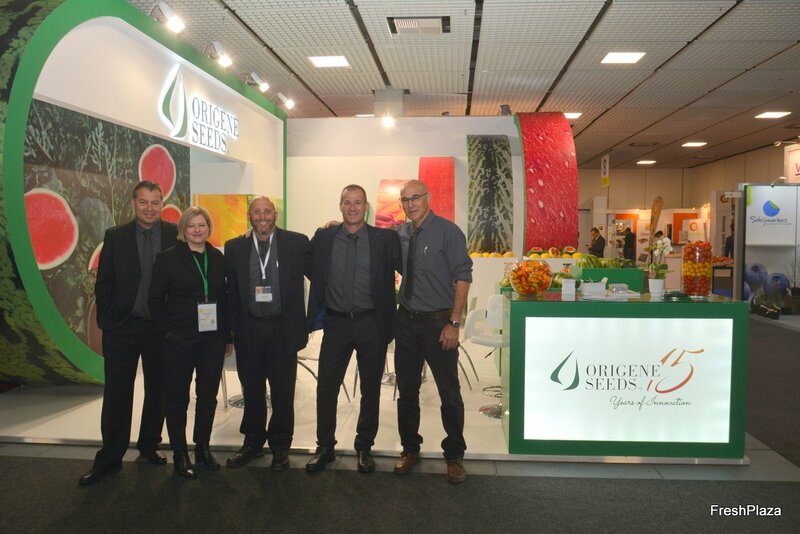 Ton Willemse, who was present at Fruit Logistica with several Jordanian growers, paying a visit to the FreshPlaza stand. Linda Handlos and Gerd Uitdewilligen from Emerson, they have 2 new products. A NFC Logger, with a quick scan from your phone, you have all info on your phone. The other is a Rel-Time Flex Tracker, this measures humidity and the temperature, with a sim card inside, you have all data and can check at every moment. The family company Bless S.R. Avner Galili from Juran, specialist in machines that separates the arils from the pomegranate. James Fouster, Paul Tracey, Emma Smith, Mandeep Grewal, Darren Beven at the JDM stand with the full range of Just Add products. Jamie Sawday, Sian Jenks and Kevin Deans from Fruberry who were at the trade fair for the first time and had a very succesfull show pictured here with Steve Lewis and Herman Bosman from Morgan Cargo. Carlos Gomez and Tom White at fresh4cast. The software can forecast yield for various fresh produce and can also be applied to forecast demand. Todd Sanders and Iain Forbes at the US Apple Exports Council. Marlette Kellerman on had for the 9th year at the stand of the South African Fresh Produce Exporter's Forum. Just some of the fantastic products in the Afrex Trading offer. Gary Jones and Alan Pollard from New Zealand Apples and Pears were visiting the show. The new season from New Zealnad is just getting underway and the forecast volume is up on last year. The UK Pavillon was well attended. The team on the London Produce Show stand - George Beach, Emma Grant, Gustav Yentzen and Jim Prevor. The event, held in June will feature a World Grape Summit for the first time this year. The team from SH Pratt. A new snack range from G's to be launched in June - Fresh snack vegetables with creamy Philadelphia cheese dip. Aurélie Zogheib, Head of Global Brand Love Fresh with Anthony Gardiner Marketing Director at G's. James Moore is demonstrating the Select Master, which can select the best combination of fruit or veg to make the right pack weight. It can be used in a line or as a stand alone unit. Tom Gautreaux - Aptar and Matthew Valentine- Baltimore Innovations as well as specialized absorbent pads for produce trays Baltimore Innovations supplies machines for high volume slicing which can do 24 packs per minute, with 36 slices of 6mm with the ends of the fruit or vegetables removed. Adrian Barlow renowned apple and pear expert in the UK is also involved in an exciting project called the National Fruit Collection Trust where they are testing apple varieties in the conditions of the future. David Rogers at Tozer Seeds, the company has a new brand of pumpkins - Wicked, they were bred especially for the northern European climate. Tozer Seeds are also celebrating their 75 year anniversary. The gentlemen from Tong were present as ever, promoting a new barrel washer this year. Eddy Deschuymer, Charlie Rich and Simon Lee. Westfalia attracted lots of visitors with their stand on both sides of the walkway. Leah Wicks and Andrew Burdock at the Aerobotics stand. Pat Flynn at the CHA stand. Robert Burns is awell known face on the AHDB stand, this will be his last Fruit Logistica as he will be retiring later this year. Packaging Automation brought along a high speed packing machine which can pack 200 packs per minute. Pierre Hagenaars, John Dunbell and Claire Carless. Martin Clarke from Drywite. 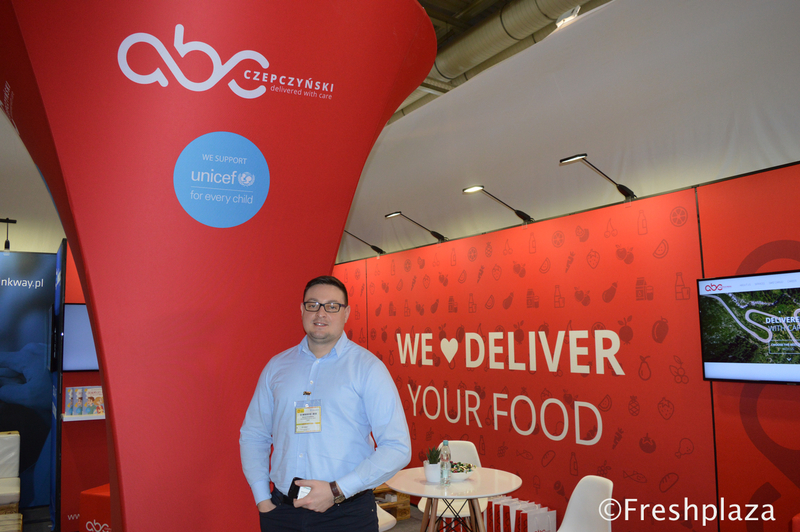 The company were in Hall 9 for the first time and Martin commented that it was a great position. Eddie Vienings and David Farrell from Blue North who had a stand for the first time. The company has a new management system called SHERPA to accompany the other services - Strategy Development, Practical Implementation, Supply-chain Improvement, Performance Indicators and Applied Research and Evaluation. Eugene De Lange from Grown 4U is looking forward to the start of the citrus season in South Africa, the lemon harvest will start towards the end of March. Geoff Croxford from Frudor specialising in grapes from South Africa. Hein and Carel Nieuwoudt at Betel Fruits. Sarah McCormack - T&G Global and Gavin Ross - Plant & Food Research. T&G Global has joined Plant & Food Research, the Institute of Agriculture and Food Research Technology (IRTA) and Fruit Futur as the exclusive partner for the commercialisation of exciting new apple and pear cultivars, developed in a world-class breeding programme, designed specifically to tackle challenges such as sunburn, colour and firmness associated with a warming global climate. The Hot Climate Programme (HCP), one of the most exciting global breeding projects, was initiated in 2002 by Plant & Food Research and IRTA to address challenges that were being experienced by Spanish growers, particularly those of the Catalan region, with traditional apple and pear varieties. Gareth Edgecome - CEO T&G Global spoke about the restructuring within the company. Richard Owen from the PMA. Pink Lady had, as always a stunning display. The AHDB UK stand where various UK companies had tables. Sainbury's supermarket had a stand for meetings. Edwin Fey and Colin Galbraith - joint Managing Directors of Green Team UK. William Findley, a partner in the Alastair Findlay Partnership spoke about the tough onion season in the UK. The team from Berry Gardens. Carlos Gonzalez - Soloberry sales, Jo Mumford - AG Thames, Pablo Garcia Newstairs Development, Rachel Montague Ebbs - Soloberry, Ivan Cuadrado - Soloberry Technical and Tom Rogers - Newstairs Development. Alexandria Fonte and Oscar Rietkerk at Maxstim who produce crop bio-stimulants. Marcus Fellmann and Dimitri Konstantinidis from Panalpina. Willem Bestbier - CEO of SATI spoke about the tough grape season in Europe and expanding exports elsewhere in future years. Starting them young these days. Vijan Chetty and Lucien Jansen from the PPECB. Anton Kruger and Claudia Walklett from FPEF. Nicholas Dicey - HortGro Pome Chairman with Jacques du Preez CEO of HortGro. Satinbaev Kairat at the Altun stand. Ahmed El Beltagy (Deputy Operations Manager) from Belco. 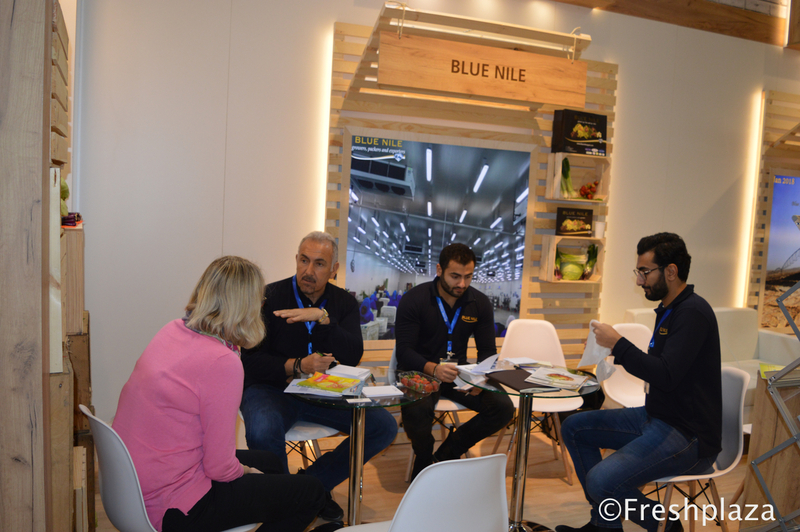 Belco is an Egyptian fresh produce grower and exporter, supplying leading retailers in Europe, Asia, Africa and the Middle East with a wide range of fruits and vegetables. 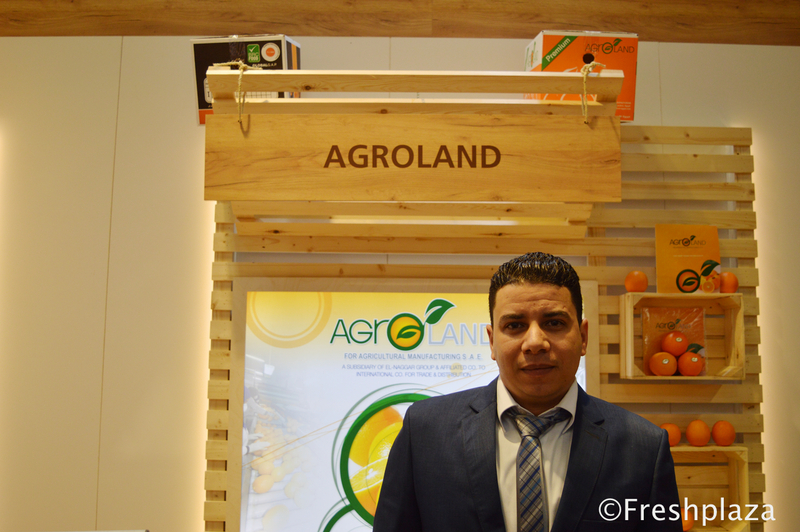 Abozeid Mohamed (Marketing and Sales Specialist) from Agroland. 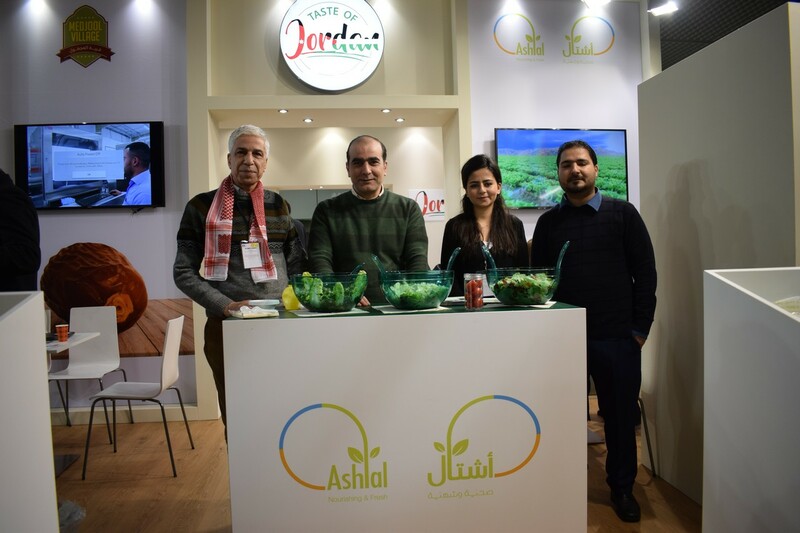 Agroland is specialized in growing, manufacturing & exporting of agricultural fresh produce such as oranges, lemons, potatoes & onions to major worldwide export markets. 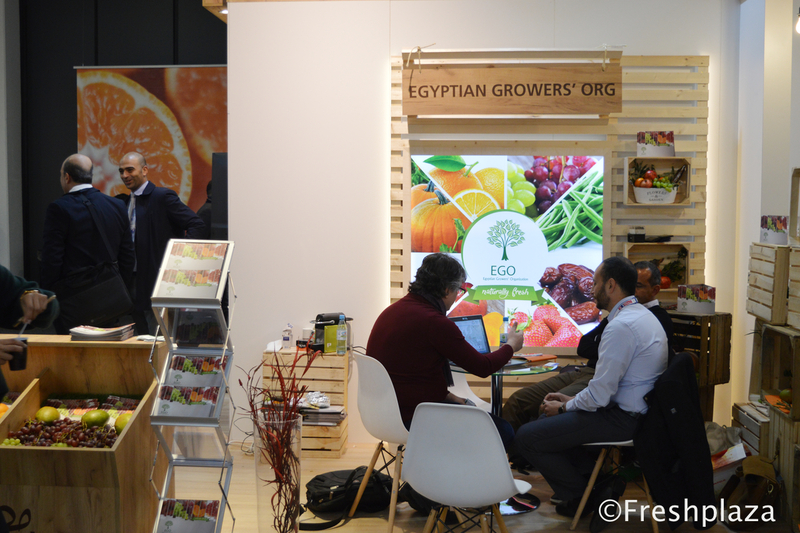 Hussein Marei from Egyptian Growers' Organisation EGO in a meeting with a client. Amr Gamal (Commercial Consultant) and Sumaya Ali (Executive Manager) from Al Shams Agro Group. 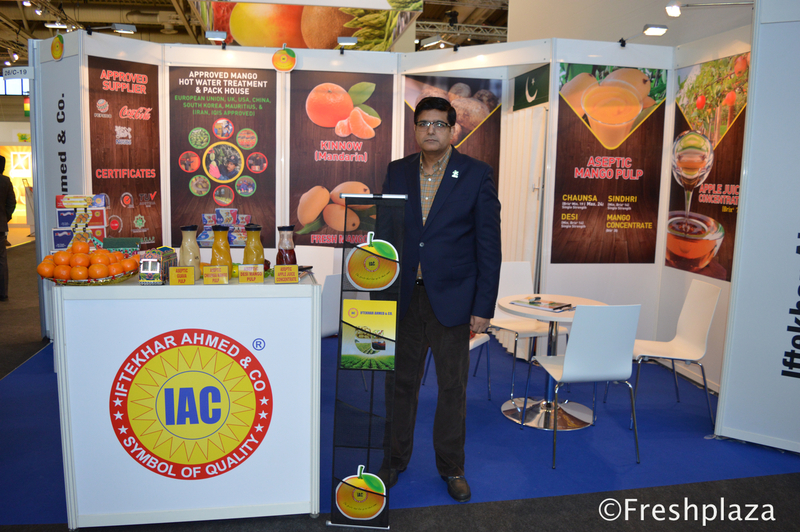 They are a renowned producer, marketer and exporter of fresh fruit and vegetable, fruit pulp, puree and concentrates. Hisham Elmeleigy from Blue Nile with his team in a meeting with a client. 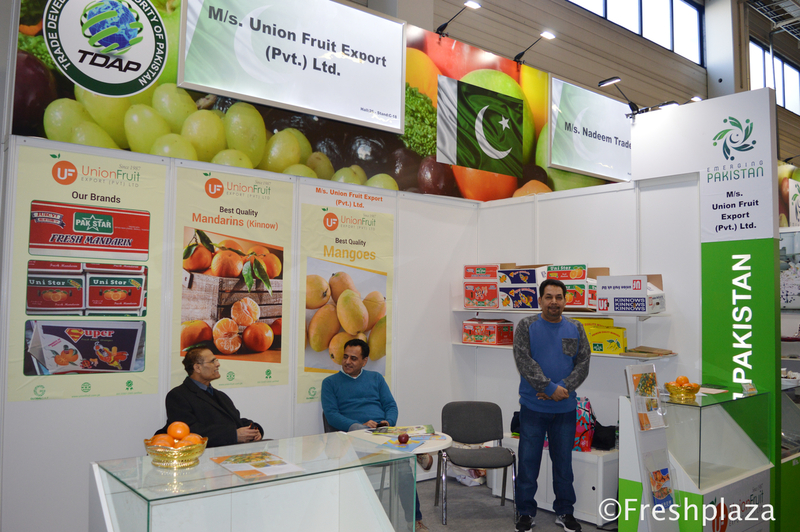 They focus on growing, packing and exporting of fresh fruit and vegetables from Egypt. 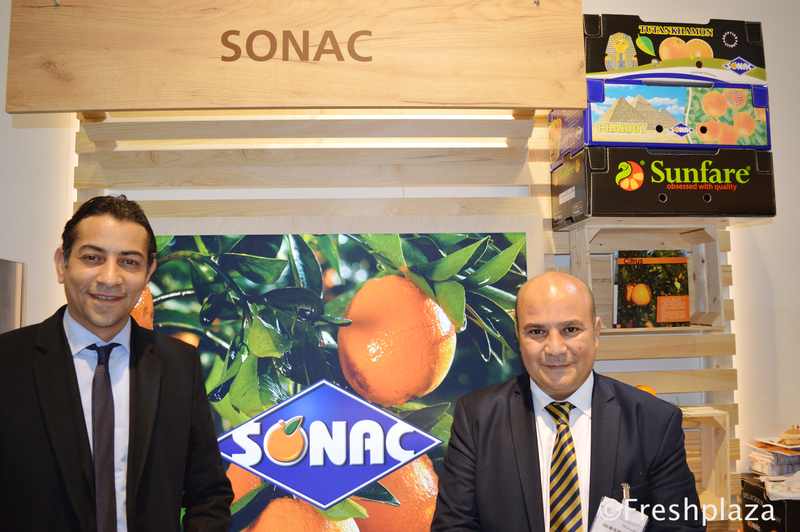 Yasser Khaled AbuIsmail (Founder) from My Very Fruits with Samer Dawoud (Supply Chain Manager) from Sonac. Elbostan Company in a meeting with clients. They produce fresh potato, red onion, yellow onion, peanut and garlic. Quite some people at the booth of Future Agrico for Investment (FAI) - Green 12. FAI-Green 12 is a grower and exporter of a wide range of fruits and vegetables, like oranges, mandarins, lemon, lime, strawberry, pomegranates, grapes and vegetables. Vassiliki Douka, George Mentis and Maria Zioga from Omnipack. Adrian Augustyn from Unidex. The scope of Unidex's activity is primarily the design, production and assembly of freezing fluidization tunnels (IQF) and spiral tunnels. Gabriela Szpuwar and Jakub Bobran from Traco. Traco is an IT system for managing the logistics in the warehouse. 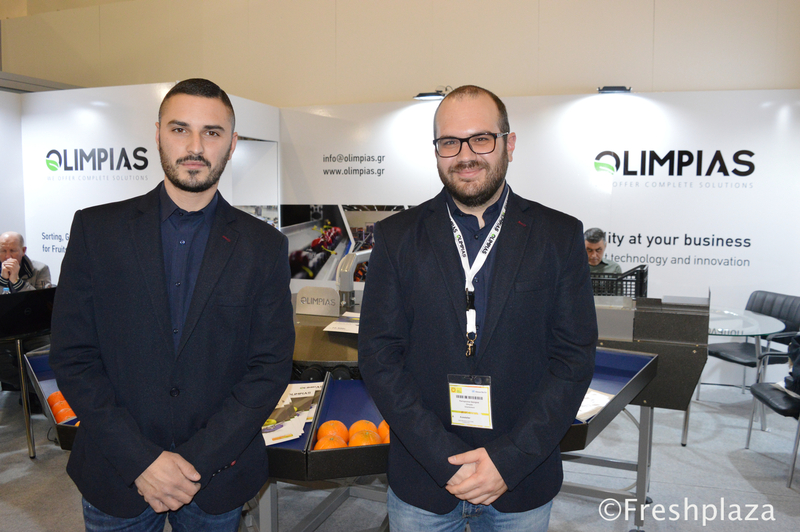 Giorgio Panagopoulos (Production Manager) and Giorgios Pavlopoulos (Sales Department) from Olimpias S.A. Olimpias S.A. designs and constructs machines for the sorting-sizing-packaging procedure of fruits & vegetables. 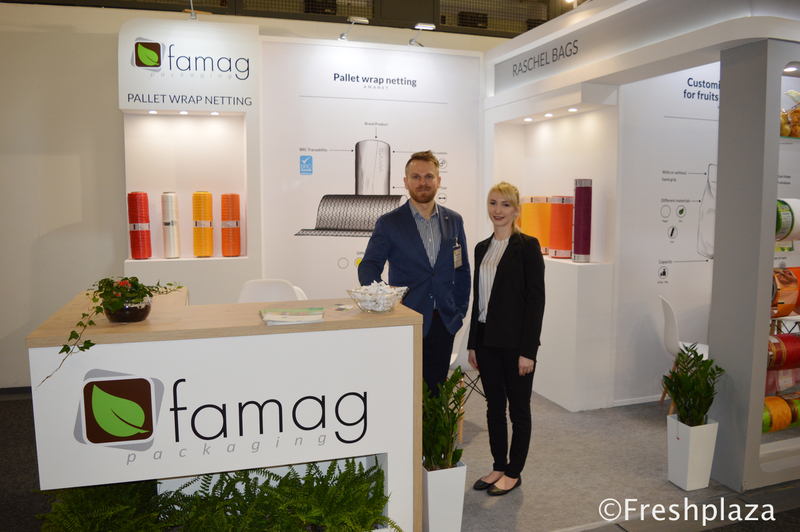 Grzegorz Karaś (Export Manager) and Anna from Famag. They are a manufacturing company focused on producing agricultural packaging (raszel bags, verticalbags, pallet wrap net, banderols) and industry (flexo printed films, laminates and special packaging). 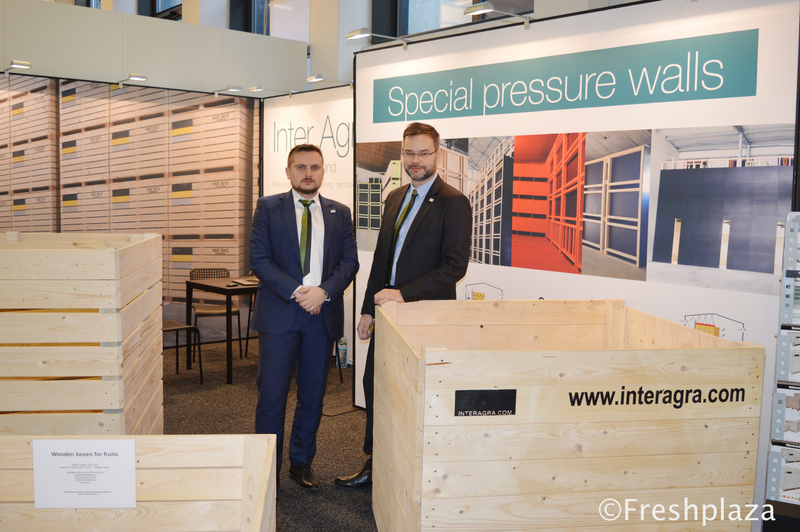 Leszek Baba and Krzysztof Mesjasz from Inter Agra S.C.. Producer of wooden boxes for professional storage of vegetables and fruits. 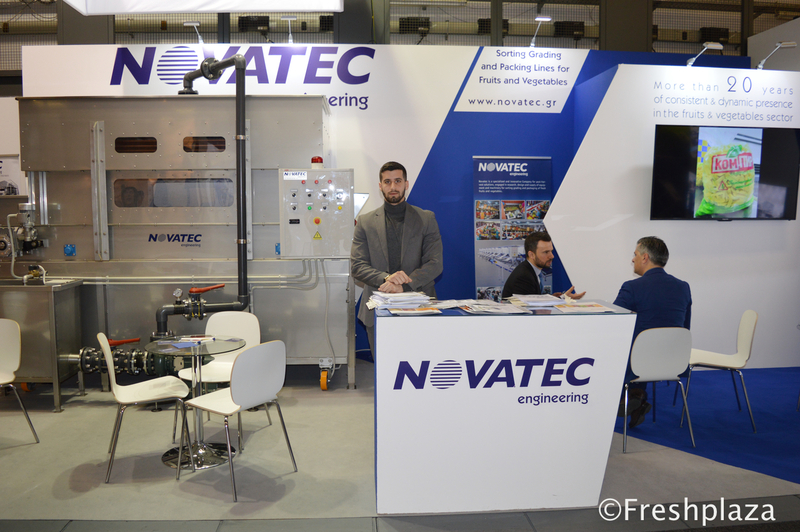 George Karathanasis from Novatec S.A. Novatec provides high quality sorting, weighing and packing solutions. Gökhan Hasanoğlu (Managing Director) and Zeynep Hasanoğlu Tümer (Industrial Engineer) from Tarend. 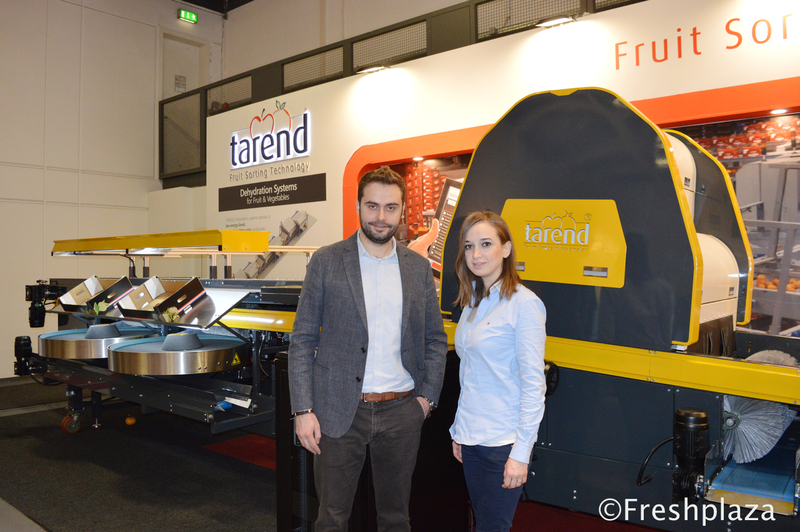 Tarend is an innovative supplier of turn-key solutions for the sorting, dehydrating and packing of fresh fruits and vegetables. 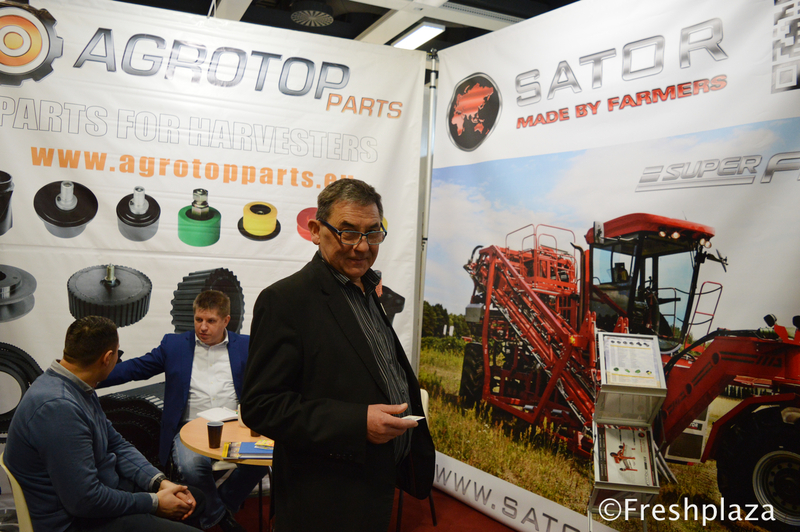 Georg Prasow from SATOR GmbH together with Tomasz Kaczmarek from Agrotop. Agrotop is a trading company that buys and sells products for vegetable farmers. The company is also the representative of Agrotop Parts which sells spare parts for agricultural machinery and sells SATOR machinery. Waheed Ahmed (Director Marketing) from Iftekhar Ahmed & Co. (IAC). Grower, packer, processor and exporter of fresh fruit, vegetables, fruit pulp and concentrate. M. Sameer Rag from F.A. International. Their prime exports are fresh kinno (Mandarin), mangoes, grapes, apples, dates, onions and potatoes. Saeed Khan from Saeed Khan Enterprises. Exporter and importer of seafood, fresh fruits, vegetables and general order suppliers. Abdul Malik (Director) from M/s. Union Fruit Export (Pvt.) Ltd. Fruit and vegetable exporter, with high quality mandarin (Kinnow) and mango. Danish Shah and Jital Shah from Sanghar Export. 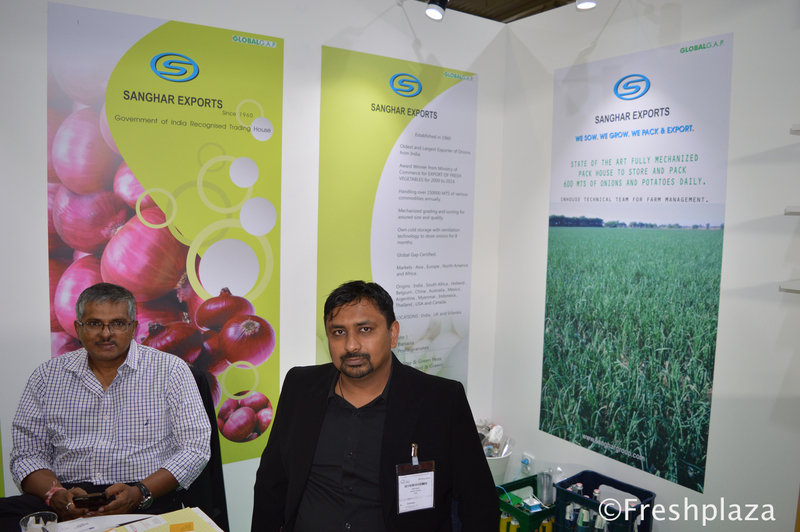 They export Indian onion, potato and garlic, oilseeds, spices, grains and pulses. 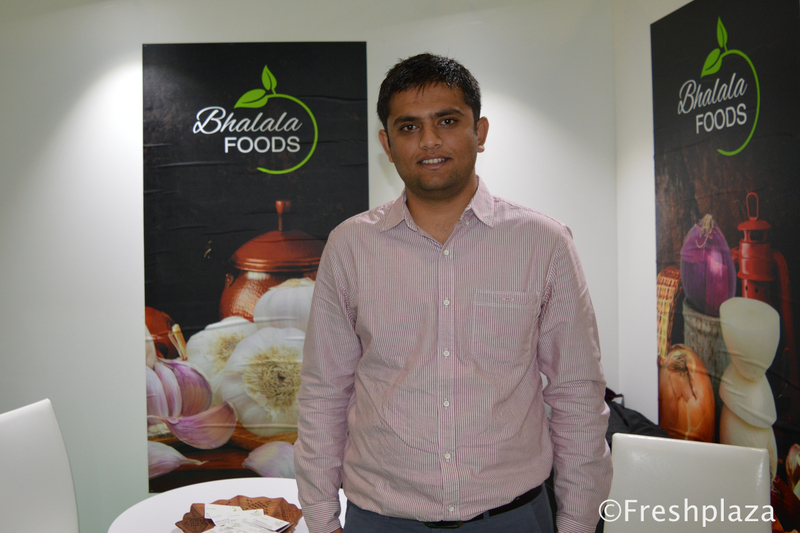 Soham Bhalala from Bhalala Foods Pvt Ltd. Manufacturer and exporter of fresh & dehydrated vegetables. Patryk Kamiński (Chief Information Officer) from Linkway. Mateusz Noszkowicz (Business Development Manager) from Abc-Czepczyński. Bartosz Szatkowski (General Manager) from Quiza. Prof. Dr. Özgür A. Karabulut, postharvest scientist. Together in the booth of Dekaplastic. Samira Manzereni from Feno GmbH/Srl. 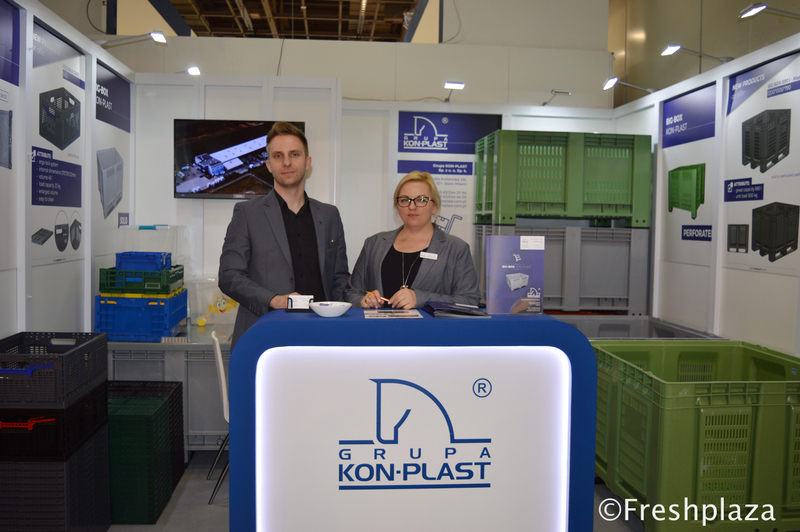 Arkadiusz Kozioł (Sales Manager) and Małgorzata Filipiak-Ziółkowska (Commercial Director) from Grupa Kon-Plast Sp. z o.o. Sp. 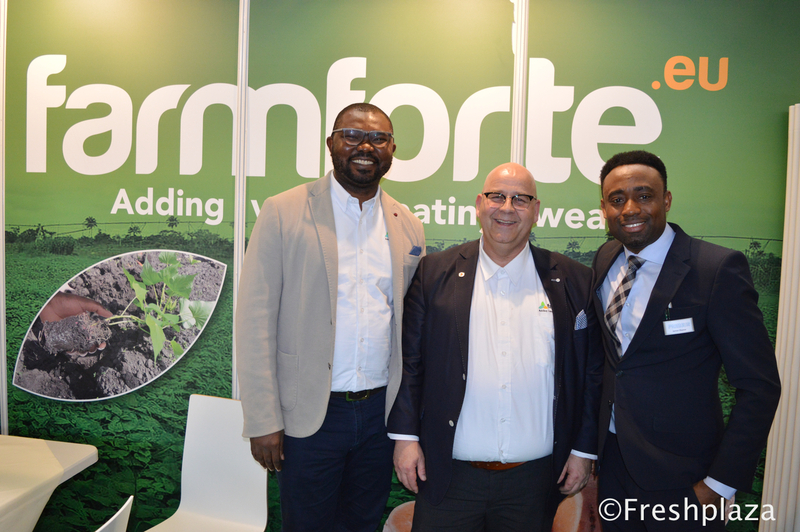 k.
Charles Ojei (Director) from Farmforte, James Obanor from Primeur and André Schaap (CEO) from Farmforte. 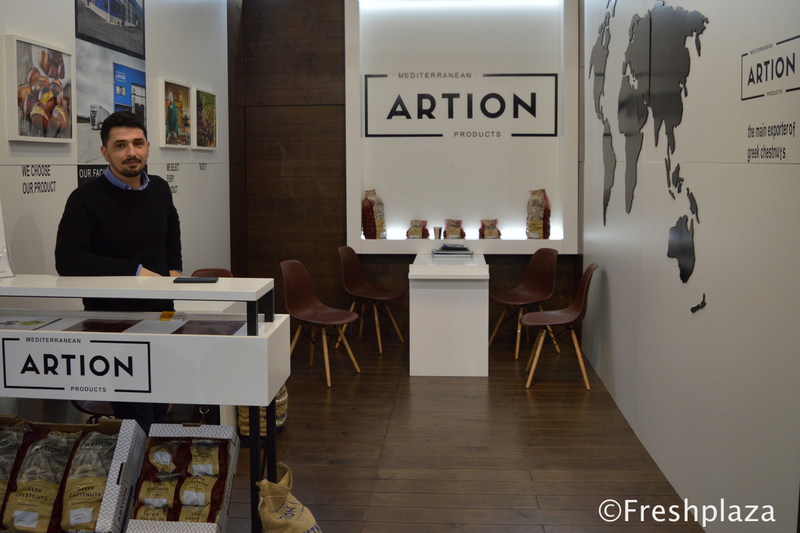 John from Artion, food trading and packaging company, their main product is Greek chestnuts. 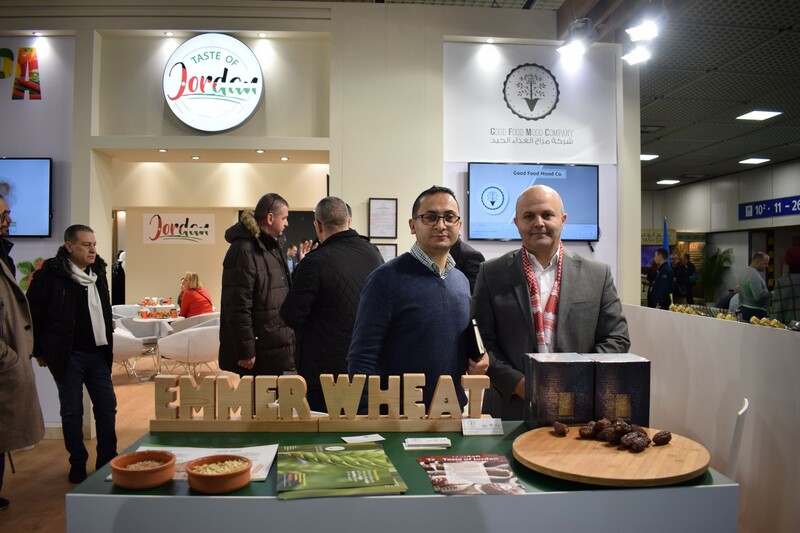 Ahmad Nassal and Luad Abu Awad from the Jordan Good Mood Company attended Fruit Logistica for the first time. They cultivate organic Medjoul Dates. Ibrahim Al-Shahahdeh, minister of Agriculture and Environment of Jordan visits the JEPA stand; Jordan Exporters and Producers Association. 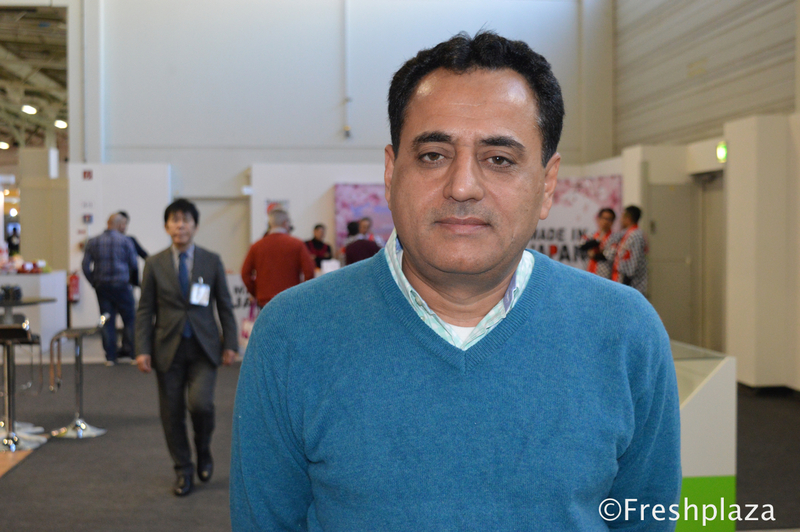 JEPA returns to Fruit Logistica after being absent for six years. They are working together with the Dutch minister of Economics. The standholders are very happy with the substantial amount of new people they met on the exhibition. Freshly packed salads with all the required certificates to sell to retail directly. Jamal Obeid, Nidal Dwekert, Batod Al-Zayadin and Hassan Al-Hourani from the Jordan Ashal. 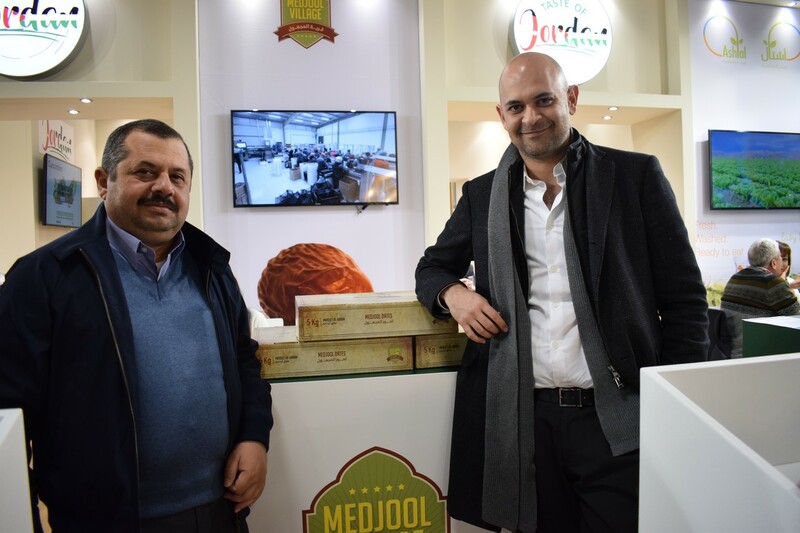 Medjoul dates from Medjool Village are ready for the European market, say Faisal Nabulsi and Mohammad Al-Salamat. 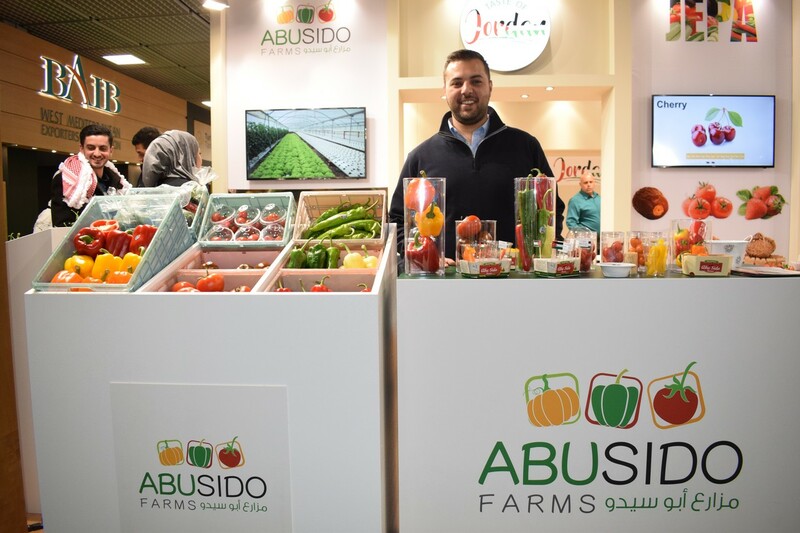 Sami Abu Hamdeh from Interpak supplies production lines for the Jordan fruit and vegetable processors. 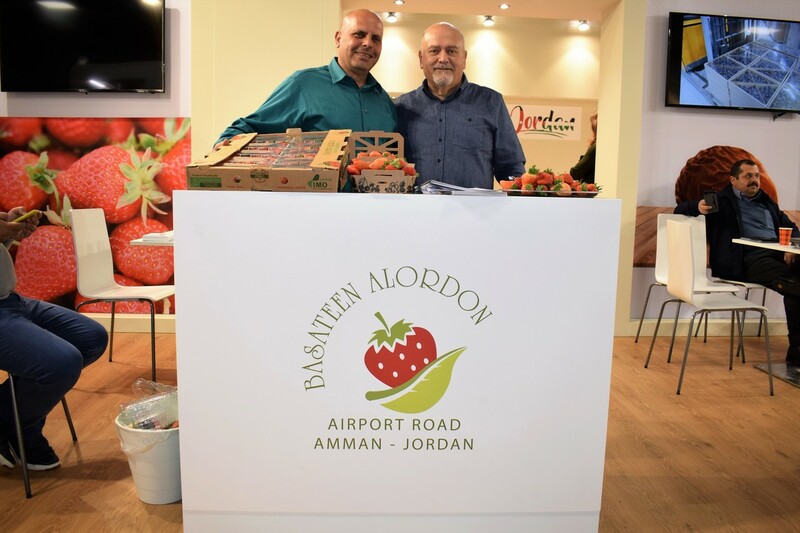 The stand of the Jordanian Exporters and Producers Association gave off the smell of strawberries. Yacoub Miguel and Ans Bahou of the Jordanian Basateen Alordon.